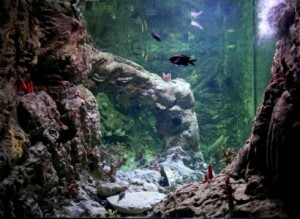 Enjoy the beautiful landscape of the Costa Blanca. “WhiteCoast” has over 200 kilometres (120 mi) of Mediterranean coastline in the Alicanteprovince of Spain. Further inland, nestled among beautiful landscapes, towns such asElche, Orihuela, Guadalest and Alcoi offer a rich artistic and cultural heritage. The AgostPotteryMuseum is situated in the old Torregrosa factory, a building that has been declared an asset of local interest. CASAL DE SANT JORDI: summarises the festivity of Moors and Christians with costumes and posters. MODERNIST HOUSE – MUSEUM: The colonnaded court, salón de baile, dining room with its large paintings of nymphs, the central transom made in exotic wood, which illuminates the interior and rich furniture, make it a jewel of Modernism. 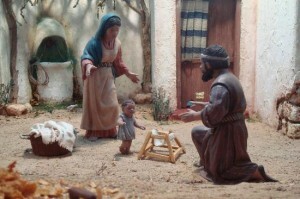 BELENESMUSEUM: This museum includes animated Nativity scenes, a collection of Angels, the smallest Nativity scene in the world and the staging of ‘la pasión De Cristo’. ARCHAEOLOGICAL- ETHNOLOGICAL MUSEUM: This museum has five sections, dedicated to the environment, to fossils, numismatics and ethnology. The Costa Blanca is easily accessible. Alicante has a busy airport that receives numerous international flights. Furthermore, the area has excellent connections to the rest of Spain by rail and road. 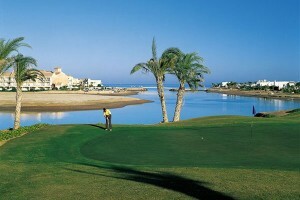 The Costa Blanca has become a leading international destination for its varied offer of golf courses. The province is the ideal destination for climbing, bungee jumping, mountain bikes or hot air balloons, and for other calmer activities, such as trekking and cycling. The Costa Blanca calendar features a host of varied and highly original festivities all year round. The famous Moors and Christians. Alcoy and Villajoiosa as have the Bonfires of San Juan, in Alicante, the Mystery d’Elx, and Torrevieja’s international Habanera and Polyphony Contest. Inland or by the cost, the offer is truly varied: sugar-coated almonds from Alcoy, dates from Elche, Chocolate from Villajoyosa, and ice-cream from Ibi. Dénia is renowned for prawns and Guardamar Del Segura stands for crayfish, ñora peppers and pomegranates. Rice is the staple of this cuisine. 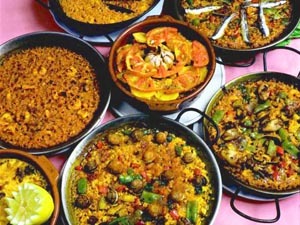 Order it in a stew, a Banda (with seafood on the side ).con costra(oven-backed rice) with rabbit and snails.